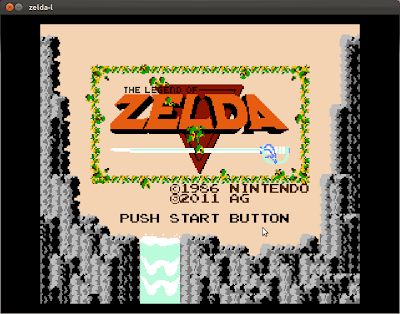 Zelda Classic (ZC) is a tribute to one of the greatest video games of all time: Nintendo's The Legend of Zelda. 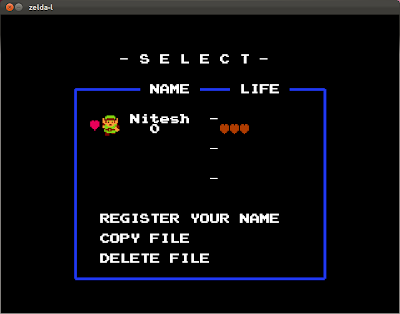 It has been developed into an exact replica of the NES version. Beyond that, Zelda Classic allows the development of new quests that can use either the traditional graphics or enhanced graphics, as well as new enemies, items, and challenges. 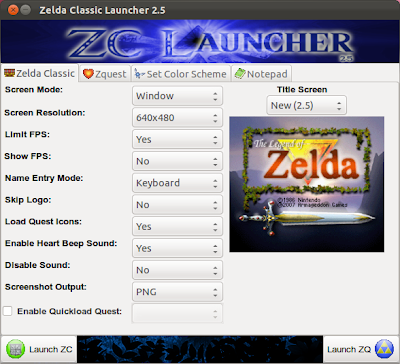 ZC also includes a quest editor allowing you to make your own game. You will be amazed at the kind of games that has been made with ZC. We will look at some of them. 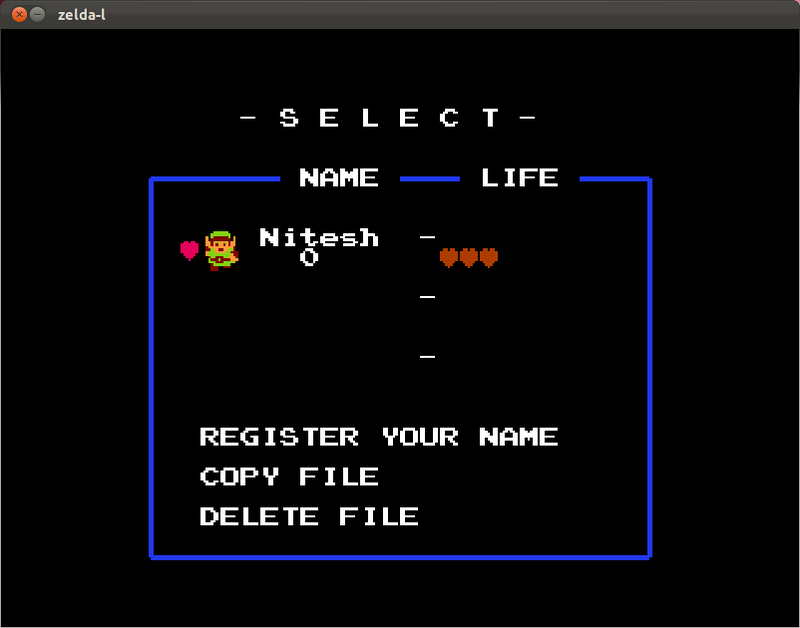 First lets begin with installation instructions of Zelda Classic. Linux builds are available here. You can download latest build from this direct download link. This is RC quality build (version 2.5), so it is almost as good as final version. Now extract the archive. Give executable permissions to the launcher files (or mark all files in folder executable). Launch zlaunch-l. A nice window with lots of options will popup. All of them are self explanatory. Quest repository can be found here. ZC has lots of versions. Custom fan made quests/games may require a specific version of ZC. 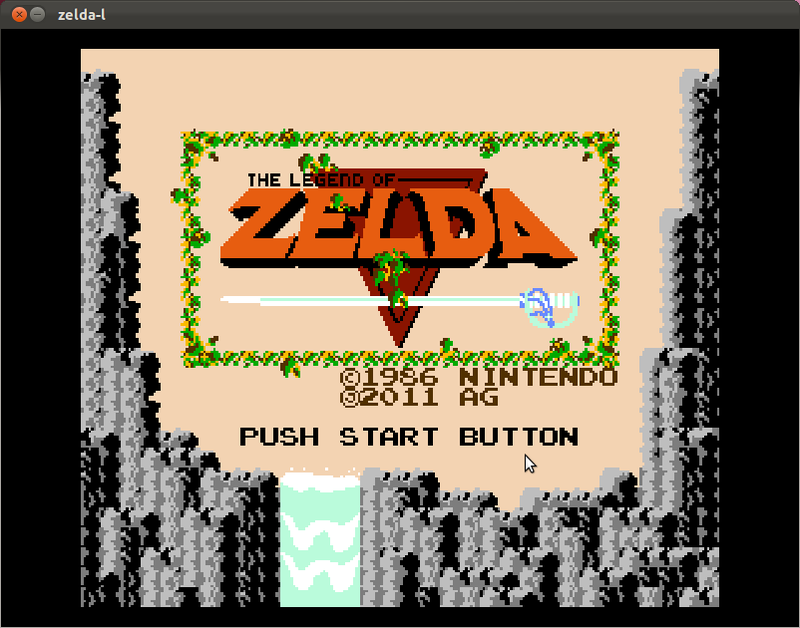 Linux versions are available from version 2.5 onward (download link above). If a quest demands a ZC version lower than 2.5, It may not work properly (but you can try). Don't worry we only list Linux supported quests below. Just keep this point in mind if you want to explore quest repository yourself as as many quest should work even if they explicitly don't mention Linux support. Sometimes, some quests will provide download links for the quest file as well a custom build of ZC. Use this build to ensure full compatibility. That said, no one is stopping you from trying the latest improved Linux version 2.5. If you want to take advantage of the nice launcher above, copy custom ZC build files into ZC version 2.5 folder. Click on 'replace all' when prompted. For every new quest, you will have to copy/replace these files. So maintain different folders for different quests. Start a new ZC game. Create a new character. Press ALT (A button in game) here. Press ALT again to load custom quests. Quest files will have a .qst extension. At any point of time, press ESC to get into game menus. All these instructions may look scary at first, but they are super easy. Now lets look at some of the incredible fan made quests. This is a complete re-envisioning of Hyrule the way it was meant to be. Old places look new and unfamiliar, dungeons you have scoured many times in the past no longer bear the same treasures or the same design. Secrets that were once common knowledge have been lost and are hidden in new locations. The entire world has changed and you have to change with it if you want to survive. 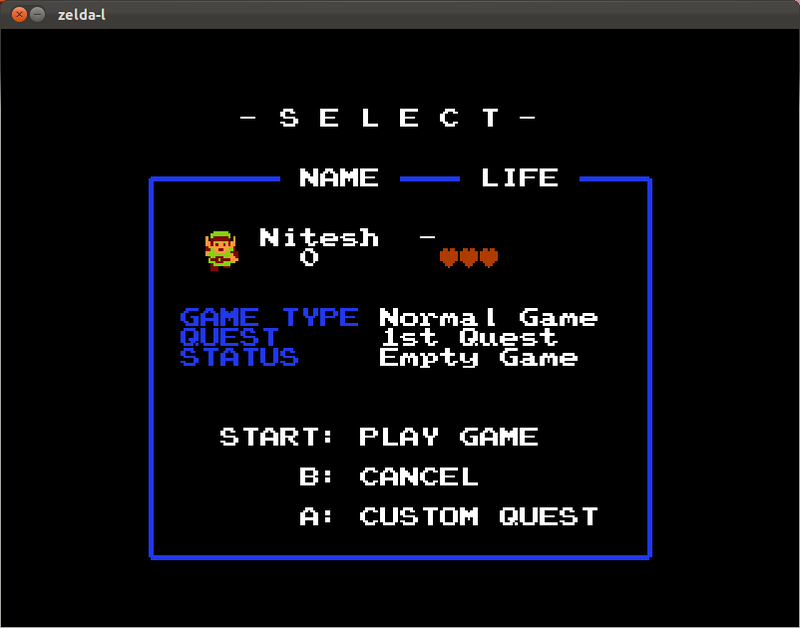 This is Legend of Zelda: Origin. The main baddie from many Mega Man games, Dr.Wily, escapes from prison. 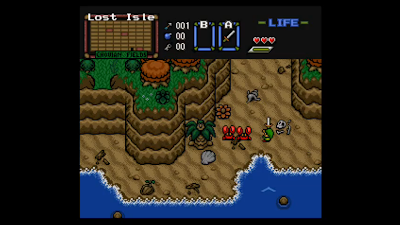 In his hideout Wily finds out about the existence of an extremely powerful ancient object, the Triforce. Wily wants to get his hands on the Triforce pieces, and he sends his robot army after the pieces. When Wily's attempt fails miserably, he hijacks a big asteroid and makes it head towards the earth. That way he can force MegaMan to do all the dirty work and make him collect the pieces for Wily. More info. Browse all the ZC quests from here. Most of them should work with ZC version 2.5.